2019 is shaping up to be a big year for women’s rights and gender equality. We asked five IWDA team members what’s on their agenda for the year ahead. 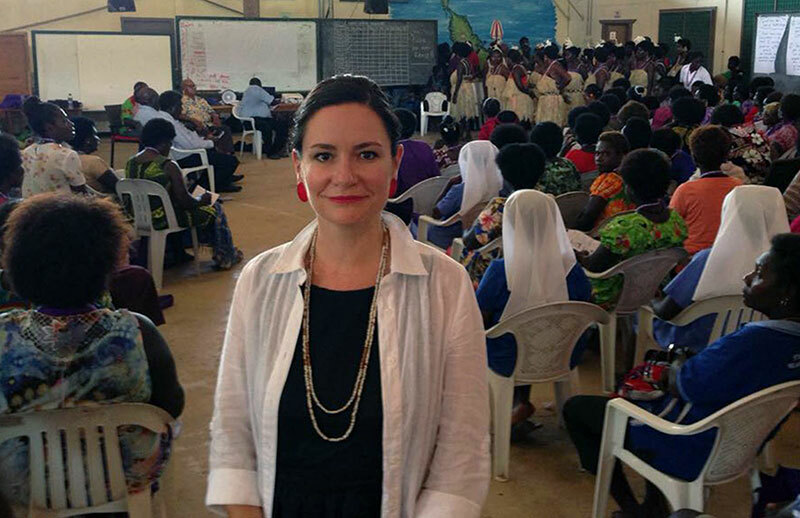 Bettina Baldeschi at the 2018 Bougainville Women Human Rights Defenders Forum. “It is undeniable that we are seeing significant attacks on hard-won women’s human rights all over the world. This manifests in different ways, but certainly as a women’s rights agency, we’re seeing a closing space for civil society including women’s rights organisations and Women Human Rights Defenders. As the former United Nations Special Rapporteur Maina Kiai explained, it’s important that we talk about the ‘closing’ rather than the ‘shrinking’ of civil society space, because ‘closing’ is a deliberate act. We know what is required to help counter this closing of civil society, and that is strong women’s movements. This year we will continue to build and enable coalitions and movements that drive global and national action on gender equality. Women’s rights organisations know their local context and communities and understand the politics and priorities of their nations. They are ideally placed to work collectively to push for and support transformative change. “With Australia’s politicians gearing up towards a Federal Election, it’s a key opportunity to ensure all parties recognise the value and importance of Australia’s contribution to international development. 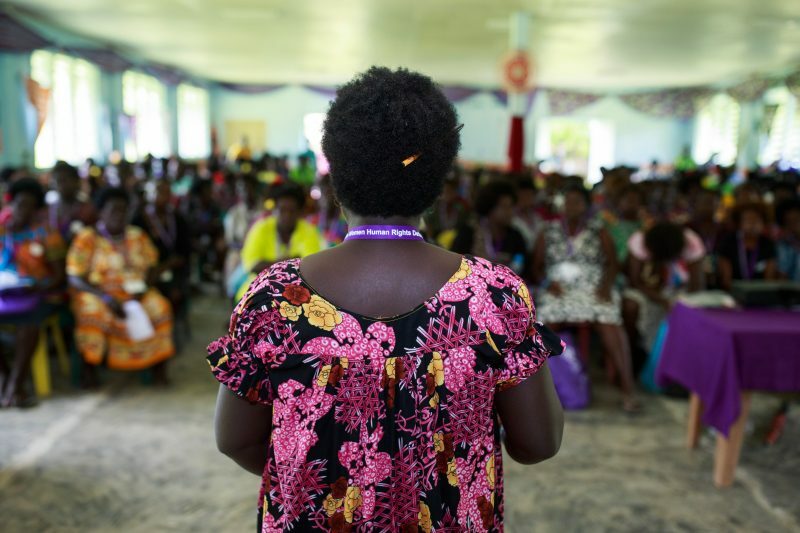 Strengthening support for women’s rights organisations in our region is also critical, and IWDA will be calling for gender equality to remain as a central pillar of Australia’s development efforts. The 2019 Election will also put women’s leadership in the spotlight, following several resignations of senior women MPs last year amid allegations of a negative culture for women. IWDA’s work with women MPs in the region highlights the importance of cultural and structural shifts to enable more women to enter politics. “In October 2019, The Autonomous Region of Bougainville is scheduled to host a historic referendum. Bougainvilleans will choose between greater autonomy and independence from Papua New Guinea. The referendum was agreed as part of the Bougainville Peace Agreement, signed in 2001 after a decade-long conflict that killed an estimated 15,000 people and displaced more than 60,000. Individual Deprivation Measure research in action. Photo: Alice Floyd/IWDA. “In 2018, we saw growing momentum around the world to close persistent gender data gaps and ensure that women’s experiences are seen and valued. 2019 will be an important year to continue building on this momentum. We’re particularly excited for the Women Deliver Conference in Vancouver in June. Women Deliver 2019 will bring together over 6,000 activists, global leaders (including former PM of Australia, Hon Julia Gillard AC), influencers and academics for gender equality. The theme for 2019 is Power: how it can drive – or hinder – progress and change. It’s no secret that women have stepped up the fight for power to determine their own futures, and power to change the structures that impact their everyday lives. Women Deliver is a key moment to continue this fight. Data is a powerful tool for gender equality. We’ll be at the conference talking about the Individual Deprivation Measure (IDM) as a key tool for illuminating women’s lives. “There is a significant gap in evidence and information on women’s leadership globally, and in particular in the Pacific and Asia. This lack of data hides trends on women’s representation at decision-making levels and makes measuring progress difficult. IWDA’s Women’s Action for Voice and Empowerment (WAVE) program is working to close this data gap. In partnership with local women’s organisations, WAVE is conducting research on the perceptions of women’s leadership, women’s pathways to leadership, and women’s movement building. In 2019, three Perceptions of Women as Leaders research studies will be finalised in Cambodia, Solomon Islands and Timor-Leste. These research studies will deepen our understanding of public perceptions of women’s leadership and the gender norms associated with these perceptions. The findings will assist women’s movements in each country to support the meaningful participation of women as leaders. This year we also continue WAVE’s Women’s Leadership Pathways (WLP) research project. 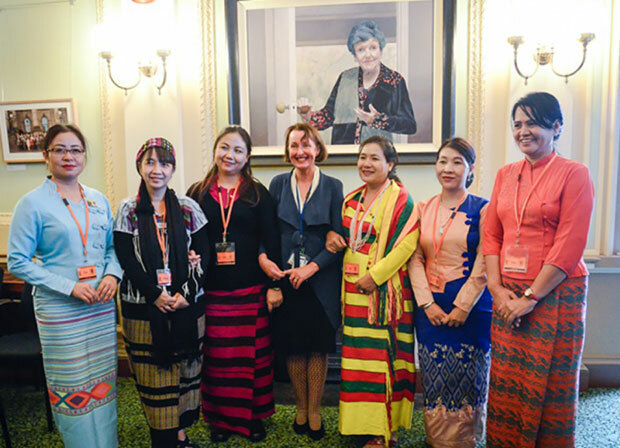 The project works with women identified as current or aspiring leaders in five countries across Asia and the Pacific, and collects evidence of their leadership journeys and experiences.